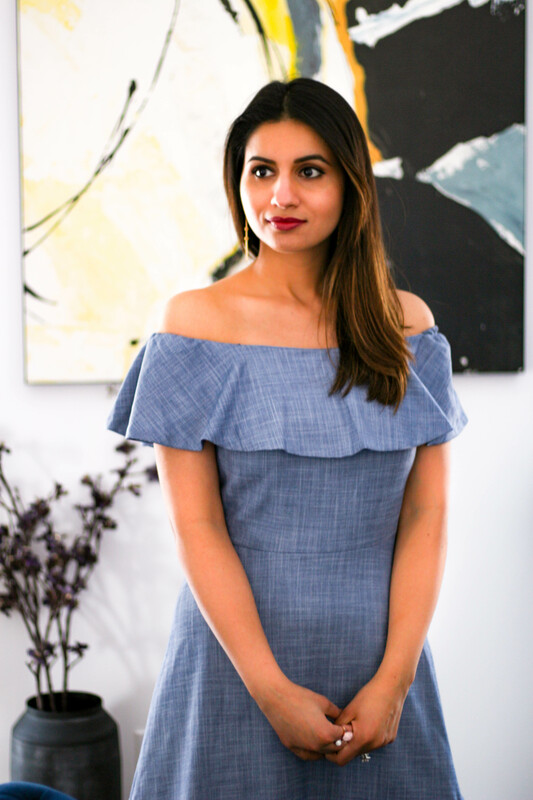 Incorporating denim into my wardrobe for warmer days ahead with this comfortable and cute chambray dress. The ruffled off shoulder neckline adds a little flair and feels perfect for spring. Paired it with white strappy pumps and statement earrings. P.S. This dress is on sale right now!